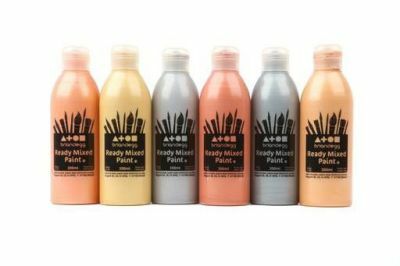 Add some interesting colour and effects to your artistic work with these metallic paints already mixed to make them easy and fun to use. Stored in transparent bottles with resealable lids for tidy storage, suitable for younger years who will love using something different and more exciting than normal paint. Available in sets of six 300ml bottles.